First thing’s first…. It has its own fridge! If you aren’t convinced already then feel free to read on and I shall discuss the car in a little more detail. 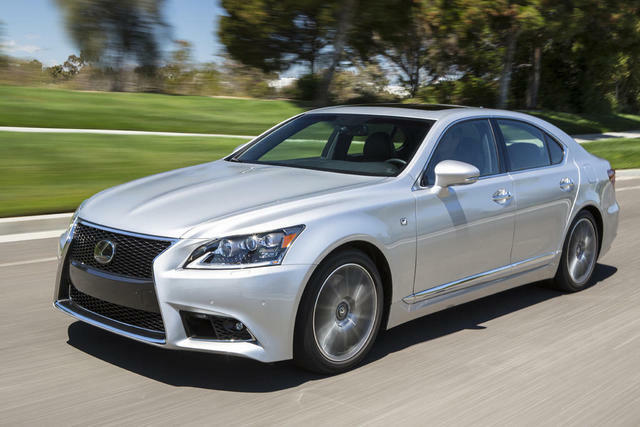 I have been driving my second hand Lexus LS for a while now and am convinced it is going to be the best car I will ever own. All the feature are brilliant and make for an excellent commute, perfect if your job require you to drive a lot of places. The cruise control and lane keeping assist make the experience of driving it very relaxed, the heated seats etc only add to that. The passengers aren’t neglected either so if I have to take the kids on a long drive (we go to their nan’s which is a good 2 hours away at least once a month so it happens a fair bit) they stay occupied with their drop down dvd screens, sometimes I forget anyone else is even in the car it keeps them so quite. on the down side it can make me jump if one of them suddenly starts laughing at what they are watching, it also means I have spent more than I ever imagined I would on dvds. Thankfully you can get them pretty cheap these days. It is a wonderful car that allows you to really relax and enjoy your drive.